Below is the selection of land and building plots we currently have for sale in Marbella, Benahavis, Estepona, Sotogrande, Mijas and surrounding country areas. Marbella Direct has a prime selection of building land and individual plots for sale in Marbella, Benahavis, Estepona, Mijas, Ojén, Sotogrande and within the surrounding country areas. 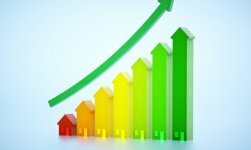 With many years of experience in the property market of Southern Spain, we are experts in all aspects of land sale and can advise our clients on planning permission status, development options, investment strategies and feasibility studies, including also the arranging of geological surveys, professional construction partners, engineering firms, architects and, of course, our own track record in the marketing and sales of new developments. If you looking for land for development or an individual plot to build on, talk to the specialists with over 35 years of experience in Marbella real estate. 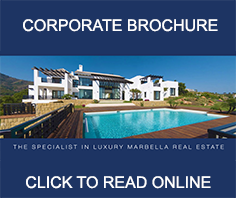 If you own a plot in Marbella and would like to list it with us for sale then please click on the following Icon and get in contact to learn the benefits of listing your property with us. Townhouse For Sale In Nueva Andalucia, Marbella. Stunning bright modern townhouse in the heart of Nueva Andalucia within walking distance to restaurants and stores. This lovely property refurbished in 2017 offers ample open plan living-dining- kitchen area and guest shower room . Luxury Garden Apartment For Sale In Mansion Club, Marbella. Fantastic garden apartment for sale in Mansion Club, Marbella. A south facing villa for sale in La Brisas, Marbella with Andalusian architecture and Moorish flare offers comfortable living within walking distance to stores and mainstream Aloha Gardens restaurants. A fabulous townhouse in an established residential development situated in the heart of Nueva Andalucía close to the Aloha Golf Club. The property is on an elevated position and has a west facing orientation overlooking Marbella´s famous Golf Valley towards the prestigious Las Brisas Golf Course.